About 12,500 Amcu members at Sibanye’s platinum operations are set to join their 15,000 comrades at the firm’s gold concerns in striking. 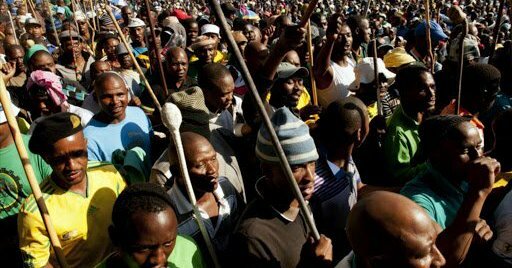 The Minerals Council South Africa representing major producers operating in the country said today it was worried about the potential damage after militant labour union Amcu vowed to expand a wage strike which began at Sibanye-Stillwater three months ago. The Association of Mineworkers and Construction Union (Amcu) said on Tuesday it would also down tools in the platinum and coal sectors from next week as a show of solidarity with its gold miners. The Minerals Council said some 15 member companies had received notices of secondary strike action from AMCU starting from the February 28 night shift to around March 7. It said this would threaten the livelihoods of employees and millions of dependents and that affected companies would do everything in their power to avert a strike, including legal recourse. About 15,000 Amcu members have been on strike at Sibanye since November 21, demanding R1,000 annual wage increases over three years. The move came after the company signed a three-year wage agreement with rival unions National Union of Mineworkers (NUM), Solidarity and Uasa for increases of R700 per month in the first year, R700 in the second and R825 per month in the third year. Amcu rejected the offer while the company in turn said the union’s demands were unaffordable. Later that month, Sibanye-Stillwater said the Labour Court had granted it an urgent interdict after violence between NUM and Amcu members left four workers dead and several injured at its Kloof, Beatrix and Driefontein mines. Amcu in December accused Sibanye of underhand tactics after the company said the strike was no longer protected under labour law as Amcu was no longer the majority union at the company. Amcu accused senior company management of recruiting members for rival unions in a bid to diminish its bargaining power. At the start of this year, Amcu gave notice of a secondary strike action at Sibanye-Stillwater’s platinum operations around Rustenburg from January 22. The announcement came days after the company reported that its gold output would only be just marginally below guidance, due to the successful implementation of measures to mitigate the impact of the ongoing job boycott. This meant that around 12,500 Amcu members at Sibanye’s platinum operations would join their approximately 15,000 comrades at the firm’s gold concerns in striking. Rival unions Solidarity and Uasa have pointed an accusatory finger at Amcu after Sibanye earlier this month announced the possible loss of more than 6,600 jobs in the gold sector. The diversified miner said the restructuring process was a result of financial losses at Beatrix and Driefontein during the 2018 financial year. Amcu has however stood defiant, vowing to escalate its strike to other sectors from next week and urging investors to withdraw from Sibanye-Stillwater, which it accuses of being unwilling to improve the working conditions of black mine workers and the communities it operates in.